I love how all of the letters in the New Testament speak of our old life as being in the past tense. We are no longer sinners, but are now sons and daughters. 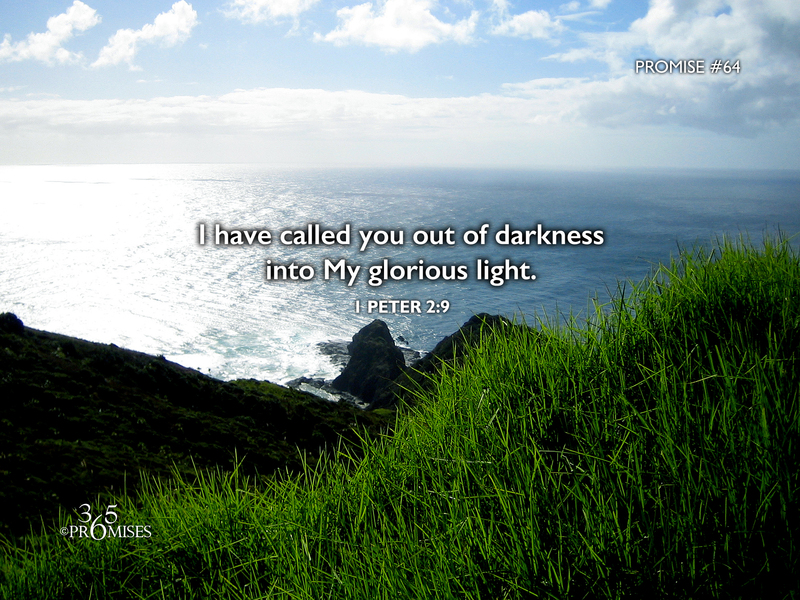 We no longer live in darkness, but we have been called into the glorious light and love of our Lord Jesus Christ. In today's Scripture verse, the Apostle Peter reminds us that we are a chosen generation and a royal priesthood set apart by God Himself. We no longer live in darkness for we are children of the light. My question in today's blog is... Do we believe that we are living in the light of God right now?